The 2012 Stryker hip replacement recall involved as many as 20,000 Rejuvenate and ABG II Modular-Neck Hip Stems, all of which were prone to fretting and fracturing at the modular neck junction. Just two years after the recall was announced, Stryker was embroiled in a massive litigation involving thousands of product liability lawsuits filed on behalf of patients who allegedly suffered painful and debilitating complications related to failed Rejuvenate and ABG II hip stems. Stryker introduced the Rejuvenate Modular-Neck Hip Stem system in June 2008, while the ABG II components were launched in November 2009. 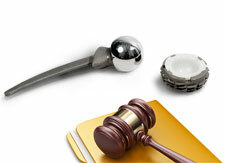 Both Stryker hip implant systems were approved for sale via the U.S. Food & Drug Administration’s (FDA) 510(k) clearance program, which allows medical devices to come to market without the benefit of clinical trials if it can be shown that the product is “substantially equivalent” in design to another that had previously received FDA approval. As a result, the safety issues that prompted the Stryker hip recall were not discovered until the Rejuvenate and ABG components had been implanted in thousands of patients. Unlike traditional hip replacements, the Stryker Rejuvenate and ABG II systems consisted of several modular, interchangeable necks and stems. All of the components were manufactured from Stryker’s proprietary titanium alloy blend consisting of titanium, molybdenum, zirconium and iron. According to the company, this innovative design would allow doctors to create a more anatomically correct artificial hip by enabling the creation of a custom fit for each patient. Stryker also promised that the metal composition of the components would resist fretting and corrosion. The Stryker hip recall was announced just a few months later, in July 2012. By that time, the FDA had received more than five dozen reports of Rejuvenate and ABG II hip replacement patients who had been forced to undergo revision surgery due to metal toxicity. Stryker has warned that fretting and corrosion of the components at the modular-neck junction may lead to pain, swelling, and adverse local tissue reactions. All patients fitted with the affected Stryker hip replacements have been advised to undergo blood tests and imaging screens to ensure the integrity of the components, even if they are not experiencing any symptoms indicative of a problem. Among other things, plaintiffs in these lawsuits point out that the design of the Rejuvenate and ABG II components require that they be driven deep into a patient’s femur. As such, revision surgery is extremely difficult, and could result in a fracture of the femur. According to the lawsuits, many patients continue to suffer pain and disability even after undergoing surgery to remove and replace their failing Stryker hip. In 2013, the Stryker hip litigation underway in New Jersey Superior court embarked on an Early Mediation Program in an attempt to resolve some claims without going to trial. In June 2014, the court reported that 17 lawsuits had already been settled via mediation. The terms of the settlements were not disclosed.